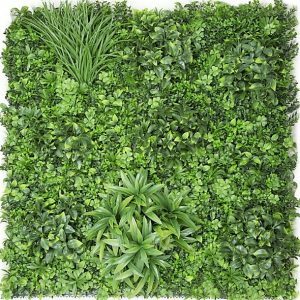 Artificial Wall Garden Panel Dark Green 1mt x 1mt – UV Safe – Leaves – Grass Garden is made from 7 different types of incredibly detailed tropical foliage scattered randomly for a stunningly realistic green wall effect. 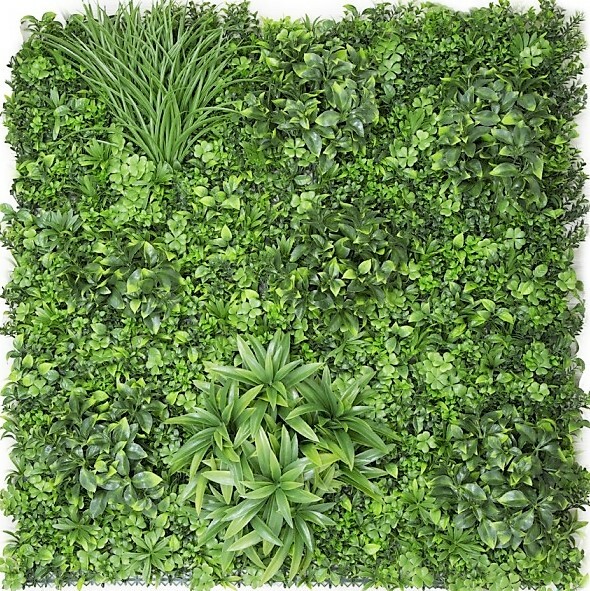 Beautiful, lush and incredibly dense, these Artificial Wall Garden Panel Dark Green 1mt x 1mt – UV Safe – Leaves – Grass will create an eye catching Tropical jungle vibe in any situation, perfect for anyone looking to turn their space into a tropical paradise. The amazing 3D effect of the green wall is created by the various sizes, depths and styles of plants contained within the plant design. 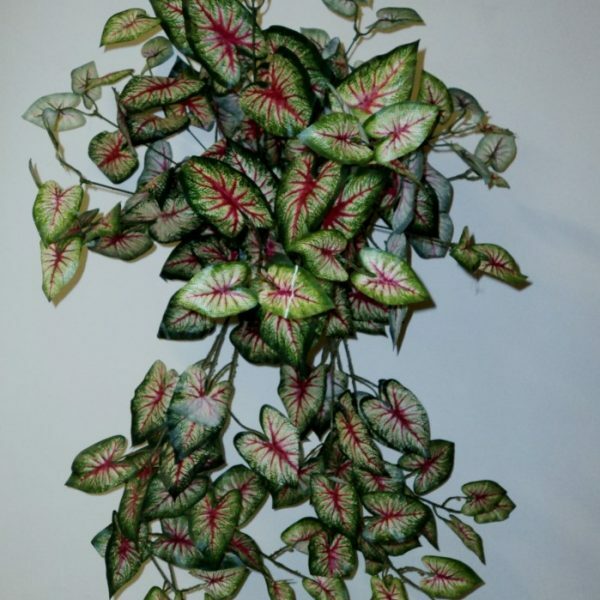 Some plants lift off and away from the backing frame and the overall effect is that the plants really ‘pop’ out from the wall. You can also choose to customize the plant layout if you wish, as each plant can easily clip on and off the backing frame. The panels are quick and easy to install on any existing wall or fence by attaching the plastic grid on the rear side of the panels to your vertical surface with staples, screw in or removable adhesive hooks or by fixing with cable ties. 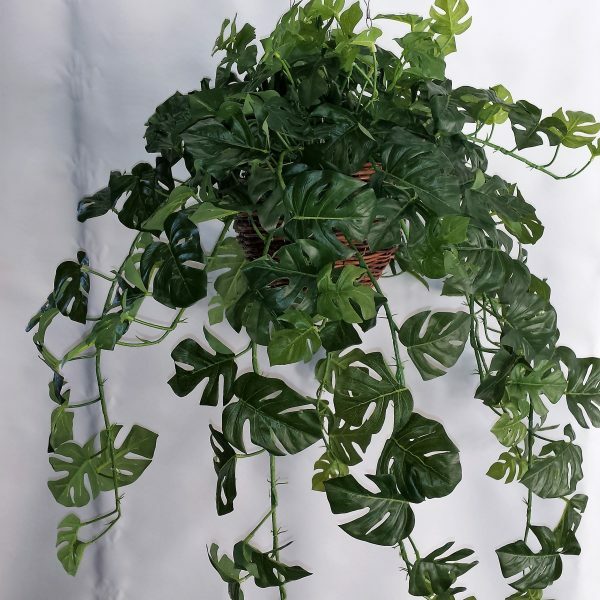 These Artificial Wall Garden Panel Dark Green 1mt x 1mt – UV Safe – Leaves – Grass Gardens are so realistic and effective at creating a great atmosphere in any environment and trust us, you won’t know they are artificial. They are UV protected and engineered to last in Australia’s outdoor conditions. 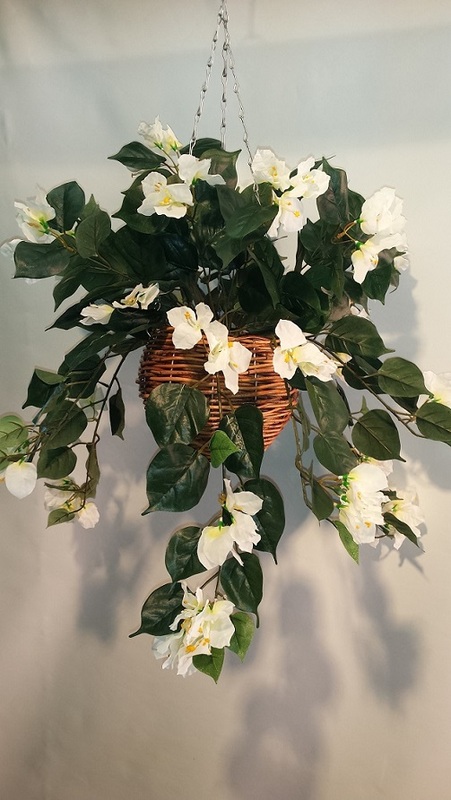 Each panel can be clipped together with other panels or cut to size or shape with scissors or a Stanley knife, so you can create your Tropical vertical garden to whatever size or shape you desire, in any setting you desire. Home, Office, Cafe’s, Restaurants, Hair salons, Bars, Beer Gardens, Exhibitions, Events and Functions, Developments etc. Our Artificial Wall Garden Panel Dark Green 1mt x 1mt – UV Safe – Leaves – Grass panels are very easy to attach to an existing wall or surface. Simply attach each panel to the wall by fixing screws, hooks or removable ‘command’ hooks (stick-on removable hooks) to the wall first, and then hang each panel onto the hooks or screws from the grid at the rear of the panel. The panels are highly durable, can be cut to size or shape easily with scissors or a knife and they are reusable in different areas.